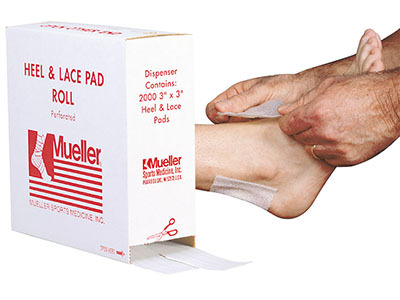 Mueller® Blister Pads are thin flexible, pressure-sensitive adhesive foam pads. They conform easily to help protect against the most common cause of blisters, friction, & pressure. They are sold in handy take-along packs. Each pad measures 2.75" x 1.75" and this set comes with 25 pads. Dimensions: 0.5" x 5.25" x 3.5"
The Mueller® Strapguard easily attaches to a face mask with a durable strap. 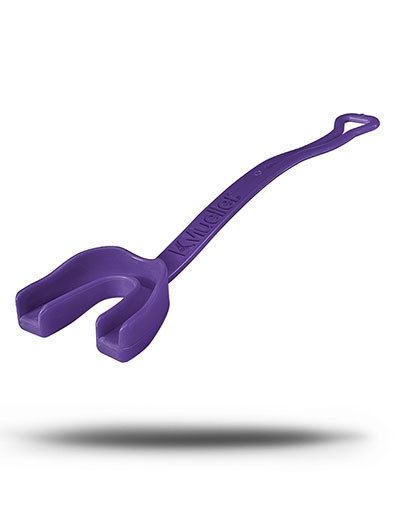 It has a shock-absorbing pillow and its low profile helps reduce gagging. 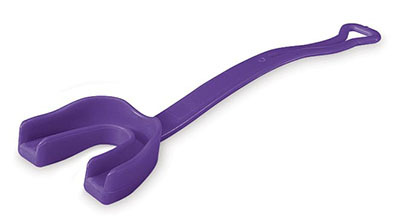 This strapguard comes in the color purple and comes in a count of 100. Dimensions: 0.75" x 10.75" x 3.75"
The Mueller® Heel & Lace Pad Dispenser holds 2000 pads measuring 3" x 3" x 1/6". Mueller Heel and Lace Pads help reduce friction inside shoes near the heel and lace areas. 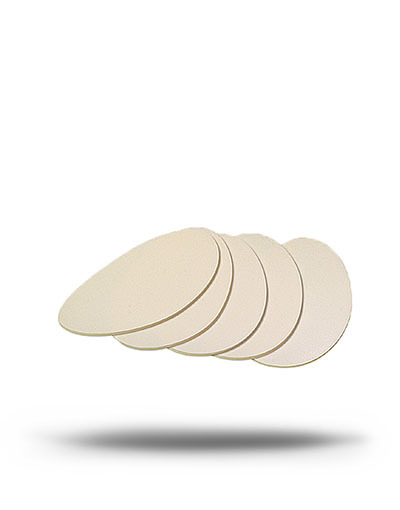 These pads are made of thin layers of white foam that have lubricated ointment for added comfort. Dimensions: 17.25" x 17.75" x 6.75"